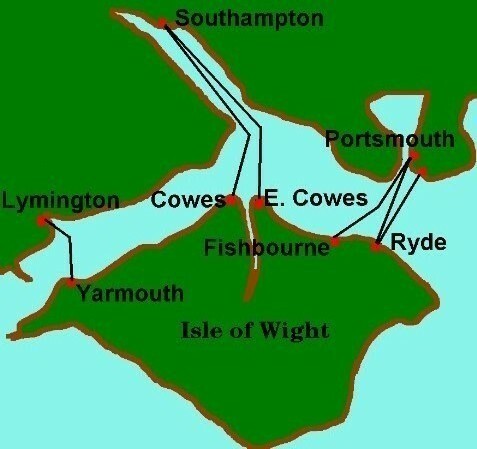 There are a few ways to get to the Isle of Wight. Which way you choose will depend on where you live and how you plan to get here! There are Car Ferries from Lymington, Portsmouth and Southampton, plus passenger only services from Portsmouth, Southsea and Southampton. Fares and timetables change so click on the links below to plan your trip! Wightlink Fastcat Catamaran from Portsmouth Harbour Station to Ryde Pier - Bikes carried free - Journey time 22 mins. Hovertravel Hovercraft from Southsea to Ryde Esplanade - Max. 2 bikes per trip. - Journey time 9 mins. Wightlink Car Ferry to Yarmouth - Bikes carried free - Journey time 35 mins. Accommodation on the Island is plentiful and varied, as you would expect from a holidaying location. You can find modern Travelodges, town houses or country farmhouses, depending on your personal preference. Click on the link below to visit the Islands comprehensive accommodation guide.